Whether you are young or old(er), the choice of where you want to live can sometimes be influenced by how long you want to live there. And in this economy, uncertainty (employment, relocation, interest rates, etc) should definitely factor into your decision on where to live and for how long.The article below discusses reasons to rent instead of buying. So when you've made the decision to rent, here's a reminder and 6 GREat reasons to rent from GRE Rentals!#1) Great residents! #2) Wonderful leasing staff! #3) Communities in highly desirable locations! #4) 24-hour emergency maintenance! #5) Month-to-month lease options available! 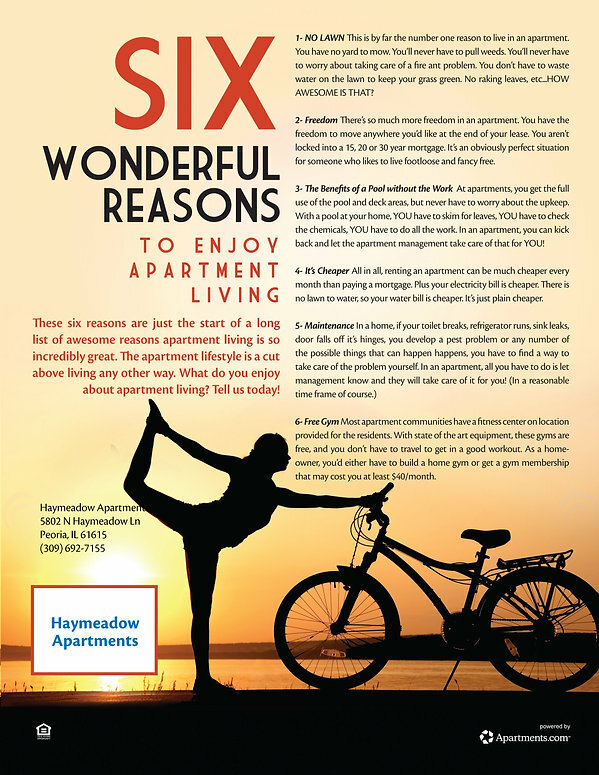 #6) Lots of other amenities!Do you have other reasons to rent instead of buying? We'd love to hear your thoughts!